Published on 27 February 2012. A little while ago, my organist brother Glenn and his family came to visit. Pete McGovern may have said of Liverpool that “if you want a cathedral, we’ve got one to spare”, but I was able to impress Glenn by pointing out that Newcastle boasts three cathedrals – or two to spare, depending on how you look at it! So, especially for Glenn, I’m going to try and feature photos of all three of Newcastle’s cathedrals this week. Here’s the first: St George and St Athanasius Coptic Orthodox Cathedral in Fenham. 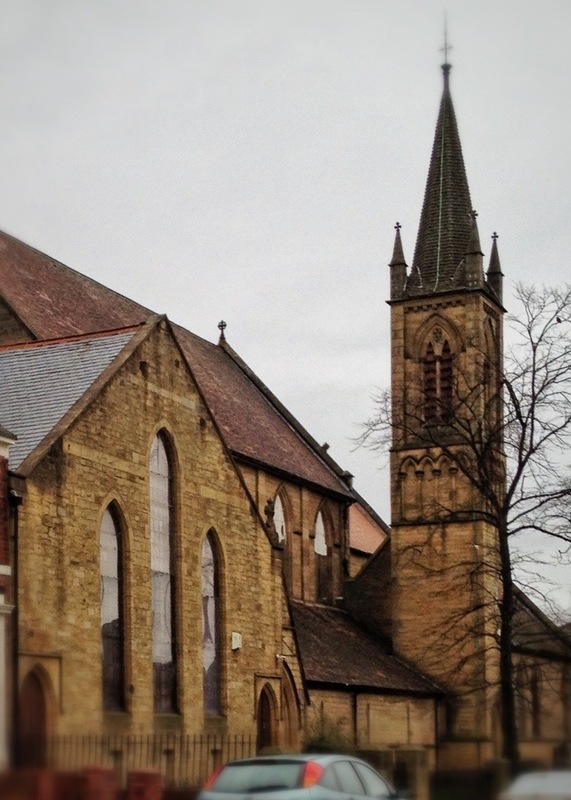 This 1,543rd post was filed under: Photo-a-day 2012, Christianity, Churches, Newcastle-upon-Tyne, Religion. Trackback received at 17:48 on 28th February 2012. Trackback received at 11:25 on 29th February 2012.